Gale Elementary School Principal Augustine Emuwa speaks at Celebrate Community Engagement. 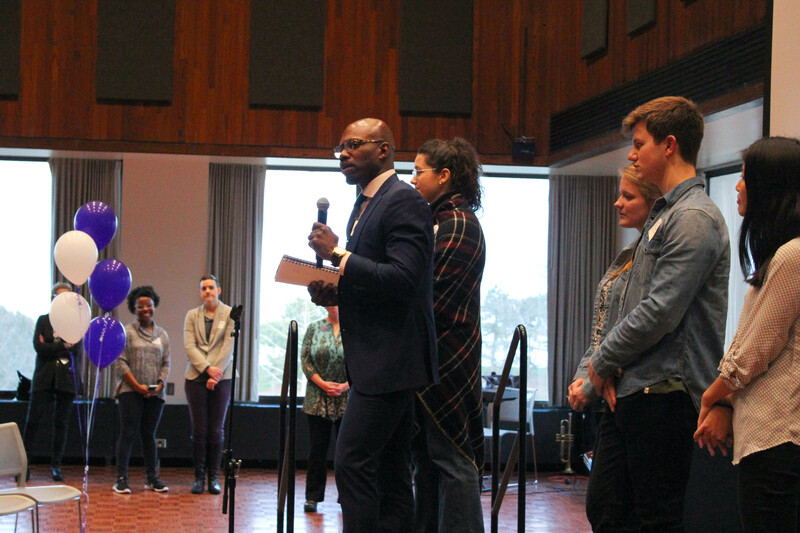 Karin Scott (left), program director of Allow Good, waits with other students and community leaders to take the stage and speak about her experiences. Evanston Public Library Volunteer Coordinator Mary Kling chats with a student during the event. 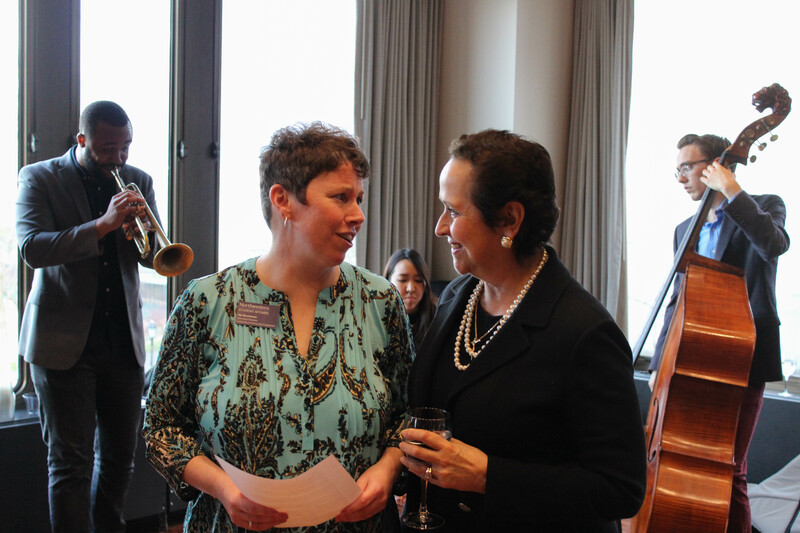 Vice President of Student Affairs Patricia Telles-Irvin (right) talks with Assistant Director of Leadership and Community Engagement Val Buchanan before taking the stage in the Louis Room at Norris. A three piece jazz band provided live music for the event. As principal of the Stephen F Gale Elementary Community Academy, Augustine Emuwa has seen the impact that Northwestern’s student volunteers can have on a community level, and the benefits that come from the connections between Northwestern and community organizations and nonprofits. “They’re learning from us, we’re learning from them,” Emuwa said, describing the students from organizations such as the Northwestern Community Development Corps and MiniChefz who come to help out at the Rogers Park school. Emuwa took the stage in the Louis Room at Norris University Center Tuesday night as one of the speakers at Celebrate Community Engagement, an event hosted by Northwestern Student Affairs in order to highlight and applaud the work done by a plethora of Northwestern student groups and students to benefit the greater Evanston, Skokie and Chicago communities. Project SOAR, Delta Chi, Jumpstart, Books & Breakfast and Allow Good also got the chance to take the stage and speak about their groups with representatives from the community organizations they help. 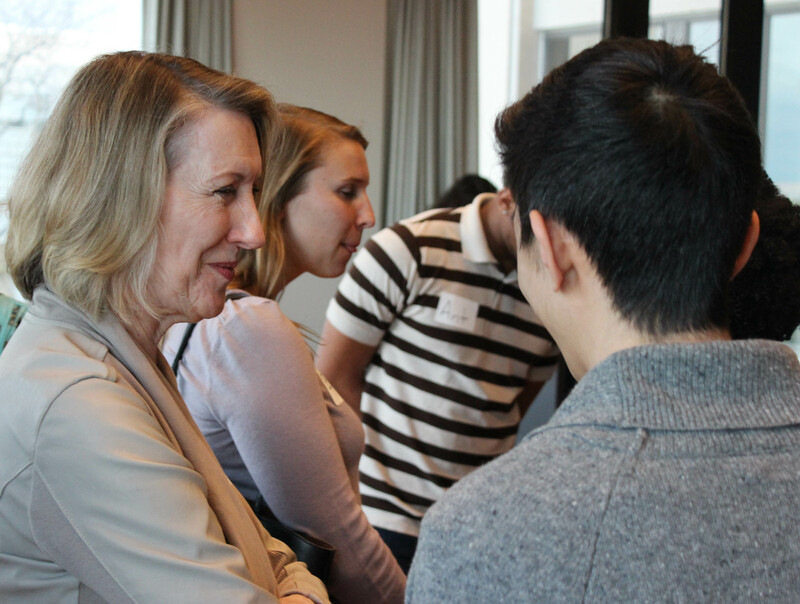 A common theme in the community members who spoke about their experiences working with Northwestern students was gratitude for students’ commitment. “The thing that impresses me… is how dedicated you guys are,” said Laura Antolín, Children’s Outreach Librarian at the Evanston Public Library. 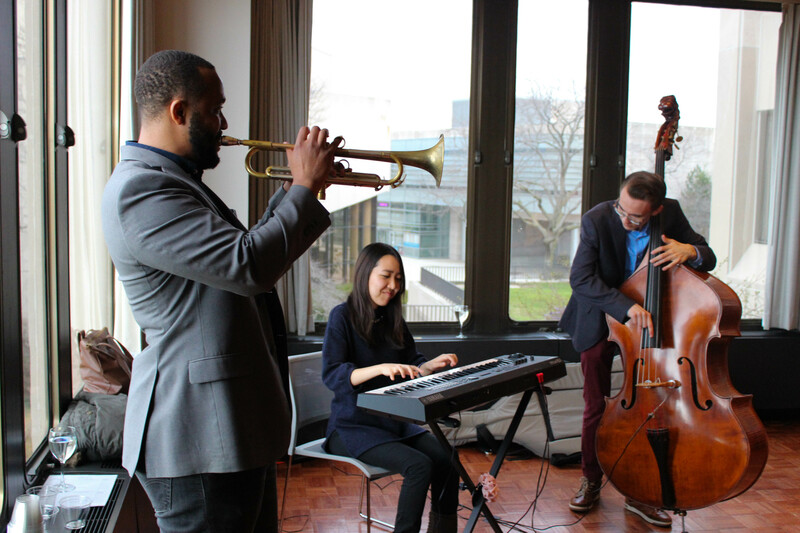 Vice President of Student Affairs Patricia Telles-Irvin kicked off the speeches after students had the chance to mingle, grab food and listen to a three piece jazz band. Students were able to speak about the positive impacts they have experienced as a result of taking part in community engagement. 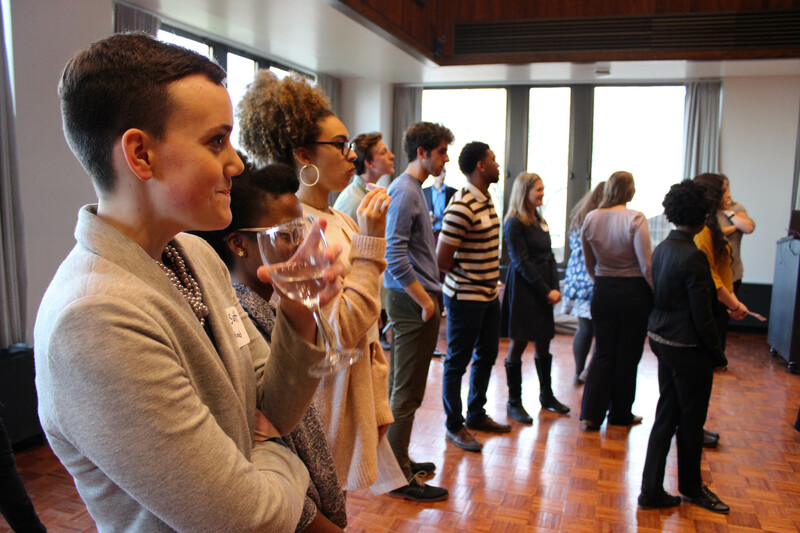 “My time in SOAR has definitely been one of my greatest experiences at Northwestern,” said SESP senior Kieara Reed, referencing Project SOAR, a mentorship program that matches Northwestern students with Evanston children. Students come to participate in community engagement for a variety of reasons, but for Allow Good Northwestern president and SESP junior Imani Wilson, her mother was the biggest inspiration. Allow Good teaches lessons to students at Niles North High School in Skokie and Evanston Township High School about community development and social justice, and allows each class to give away $1,000 to a community organization of their choice.